Spins-based promotions appear to be the “game du jour” at Party Poker right now. 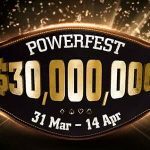 You can play the site´s three-handed, hyper-turbo Sit & Go games to win prizes of up to $2 million in cash or up to $10,000 in PP LIVE dollars; and, during last week´s Monster Series, you could play Spins games with a buy-in of just $0.50 to win tournament entry tickets to the series´ most valuable events. 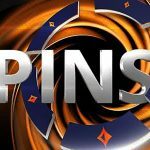 Now the site is introducing a new Spins-based promotion “SpinStorm” – a promotion in which the points you earn for paying a fee to enter Spins games contribute towards a cash prize or freeroll tournament entry ticket (on top of the regular Party Poker cashback) provided you play Spins games on five or more separate days between March 18th and 21st April. First of all, opt into the promotion via the Party Poker client. Then, every time you enter a Spins game at Party Poker, between 4% and 8% of the buy-in is taken as the tournament entry fee. The percentage varies according to the total buy-in. For example, the fee for games with a $0.25 buy-in is 8%, while the fee for games with a $250 buy-in is 4%. For each $1.00 you pay in fees, you are awarded one point. The freeroll tournaments take place each day between Wednesday 24th and Sunday 28th April at 7:30pm CET. Each freeroll tournament has $2,000 in Spins tickets up for grabs; so even if you don´t qualify for a cash prize during the SpinStorm promotion, you could spin your way to a million dollars within minutes of each freeroll tournament ending. During the promotion, your points earned towards SpinStorm prizes also qualify for Party Poker cashback – if you are eligible. To be eligible, you have to opt into the cashback promotion and collect 25 or more points within a week (Monday 00:01am to Sunday 23:59pm). Once you have collected 25 points, you will receive cashback at rates of between 20% and 40% – the more points you collect, the higher the rate of cashback. So, if you were to start playing Spins games every day from Monday, and collect 100 points within a week, you would not only have banked a minimum of $25 in the SpinStorm promotion, but also $20 in cashback. If you continue collecting points at the same rate for a further week, you will have banked a minimum of $75 in the SpinStorm promotion plus picked up a further $20 in cashback. So, it´s a very worthwhile promotion if you enjoy playing Spins games. 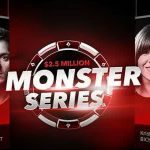 It´s especially worth taking notice of this promotion if you play three-handed, hyper-turbo games at other online poker sites that don´t reward you so highly for your action. 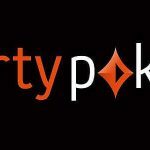 If you have never played at Party Poker before, you can take part in this promotion and earn points towards clearing the Party Poker bonus simultaneously.